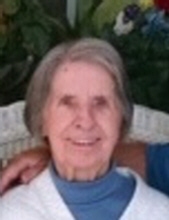 Kathleen M. Zika nee Sheldon, 88 of Lyons, beloved wife of the late Frank J.; loving mother of Nicholas F. ( late Patricia) and Richard (Janet); dearest grandmother of Rebecca (Jason) Boston, Nicholas, James (Pamela) and Joseph Zika; dear great-grandmother of Julian, Owen and Corinne.Visitation Thursday, April 11, 2019, 8:00 a.m. till time of services at 10:00 a.m. at Ivins/Moravecek Funeral Home 80 E. Burlington St. Riverside to St. Hugh Church for Mass of Christian Burial at 10:30 a.m. Entombment Resurrection Community Mausoleum. To send flowers or a remembrance gift to the family of Kathleen Zika, please visit our Tribute Store. "Email Address" would like to share the life celebration of Kathleen Zika. Click on the "link" to go to share a favorite memory or leave a condolence message for the family.